You've seen the iPhone accessory that can check your blood pressure, as well as the one that can monitor your heart rate. There's even one that can turn your phone into an electrocardiogram (ECG). But, now, there's an iPhone case that can do all of that—and more. Meet Wello. 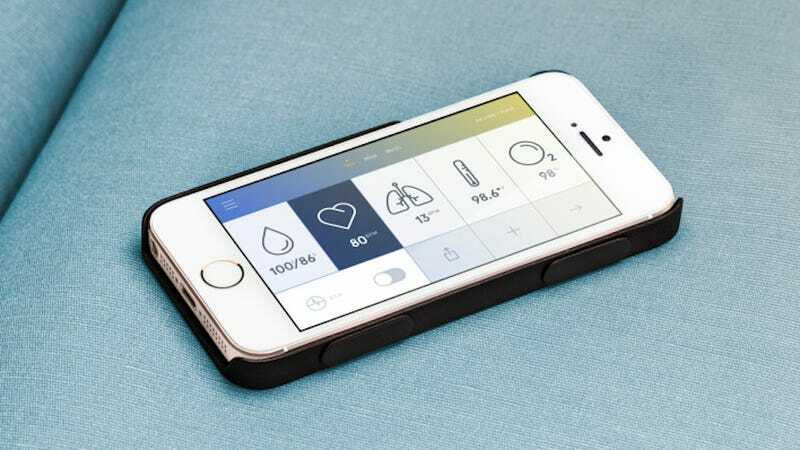 This thin, ultralight iPhone case can measure your blood pressure, heart rate, temperature, and blood oxygen levels in just a few seconds. All you have to do is hold your phone a specific (but not weird) way. The corresponding app will even display your ECG waves and test your lung function with the help of a small accessory that you breathe into. It's like a little tricorder that also happens to keep your phone from getting scratched. We've seen the check-out-this-real-life-tricorder story before. In fact, we've seen it several times. However, the Wello is perhaps the most sleek and sophisticated devices out there. It's so sleek that you would think it's just a regular case. It's sophisticated because it can do more than most other health monitors out there. You can even sync Wello with your Wi-Fi scale or fitness band to further track your health. Wello's app helps you spot irregularities and changes in your health as soon as they pop up, which might not be a great feature for a hypochondriac, but could also come in handy. Wello is currently waiting for FDA approval, although Azoi, the company that makes the device, is taking pre-orders for $200. Founder and CEO Hamish Patel told Engadget that he hopes to have FDA approval by this fall, and, in the meantime, the company is working on an Android version, though Android users can remove the business card-sized bundle of electronics from the iPhone case and use it as a standalone device.